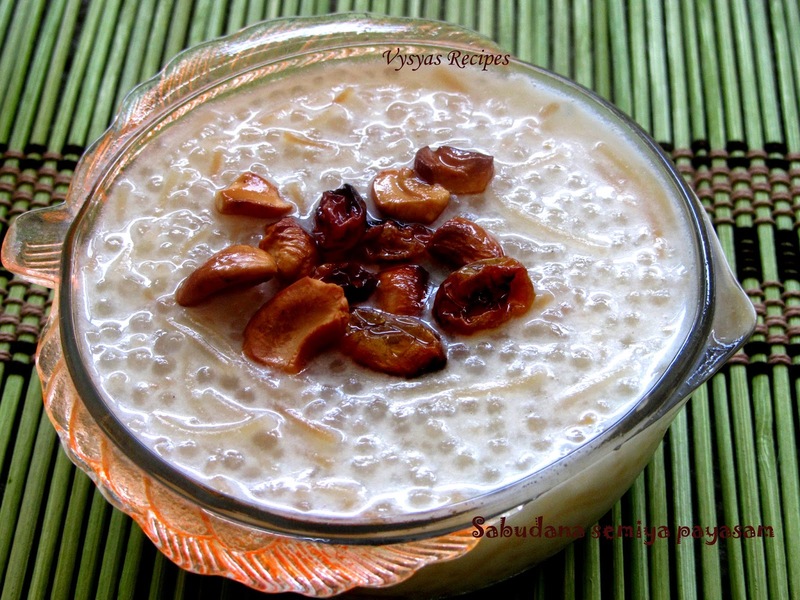 Sago semiya payasam is a simple and popular south Indian kheer made with Sabudana(sago) and semiya(vermicilli). 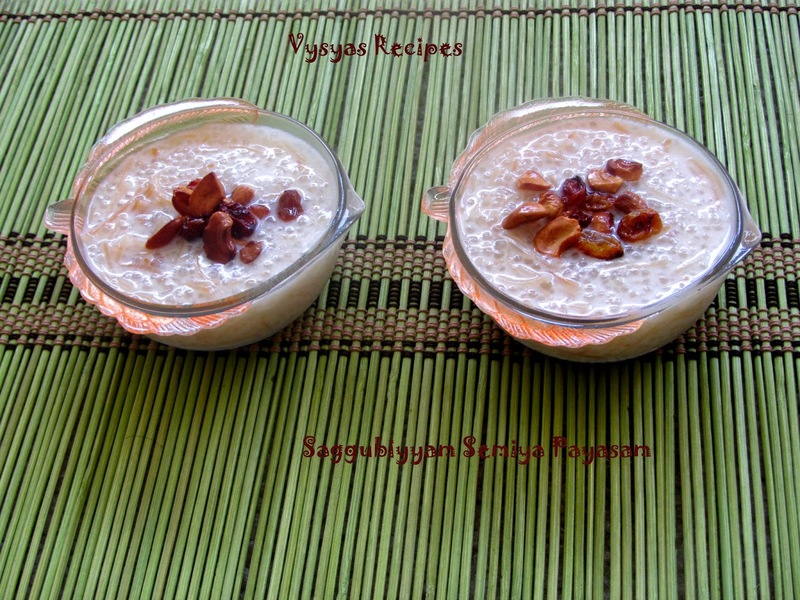 This is a simple and yummy payasam recipe, can be served either hot or cold. 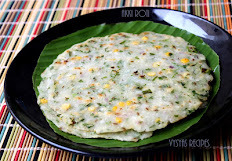 it is a simple festive recipe made during festivals like deepavali, & Newyear occasions. 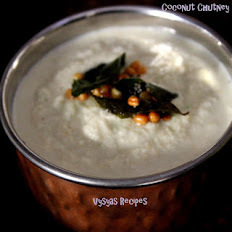 We also make this simple payasam during birthdays.Now we learn to make saggubiyyam semiya payasam. Take a kadai, add 1 tsp of Ghee, when it is hot, add cashews saute till it turns lightly turns golden brown colour, then add raisins, saute for few seconds , then keep it aside. In a same kadai, add semiya (javvarisi) and saute until you get roasted aroma(smell).Then keep it aside. Take a Heavy bottomed Vessel, add sago, add 2 + 1/2 cup of water. Cook sago till it is transparent,then add semiya(vermicilli) and cook till both sago and semiya turns soft. 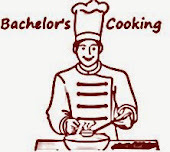 (adjust the water, accordingly, if it is not cooked you could add some more water till it is cooked). Then add Sugar, mix well. Add Milk, mix well. 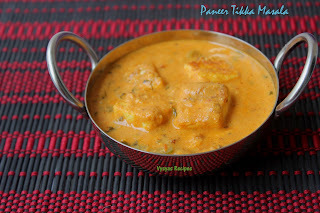 Let it cook in a medium flame for 10 minutes, till it turns thick and creamy. my fav n i knw it`s a good combo. semiya payasam super! 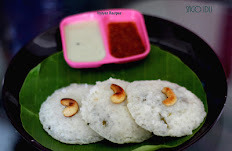 engalukku pidithamana payasam. I like this combo a lot it very delicious. Delicious & nice combo.............never tried this. will surly try this time.